What were the reasons behind the English Reformation? 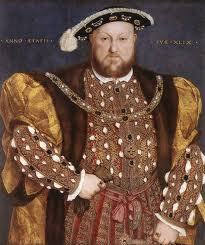 How far was Henry VIII justified in getting rid of 5 of his wives? To what extent was Lady Jane Rochford responsible for the deaths of Anne Boleyn and Katherine Howard? How far do fictional works on the wives of Henry VIII have basis in fact? To what extent was Anne Boleyn’s rise to power the work of men? How far was Anne Boleyn’s fall from power a result of her own mistakes? How far did Henry VIII rely on his advisors like Wolsey and Cromwell, and how far was this reliance the reason for their downfalls? What was the link between the divorce and the English Reformation? What do the marriages of Henry VIII tell us about the importance of royal marriages in the sixteenth century? Does Henry VIII deserve his reputation as a tyrant and why? Edward VI as Prince of Wales 1546. How far was Edward VI manipulated by the Protectors, Somerset and Northumberland? How far was Edward VI responsible for the disastrous nine-day reign and eventual execution of Lady Jane Grey? Edward VI is said to be a Protestant but what is the evidence for this? What was Edward’s relationship with his half-sisters like? How far do you think that Henry VIII’s protective upbringing of Edward contributed to his early death? 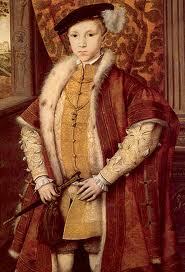 To what extent was Edward VI influenced by his father? What was Edward VI’s role in the Protector crisis of 1549? 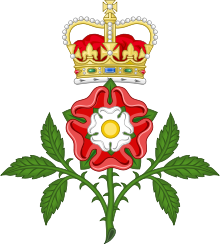 How did the England of Edward VI under the Duke of Somerset compare to that under the Duke of Northumberland? Was Edward VI really a weak and sickly king, or did he wield substantial power? How important was the attempt to marry Edward VI to Mary Queen of Scots in the international diplomatic arena? How far were Mary’s fears about her sister Elizabeth legitimate in your opinion? To what extent did Mary’s childhood impact how she approached queenship? What do you think Mary learnt from each of her stepmothers? How far do you think that Mary’s marriage to Philip II of Spain tainted future English relations with Spain and the Empire? What were Mary’s motivations behind the execution of Lady Jane Grey? How far do you think Mary I deserved the nickname ‘Bloody Mary’? What drove Mary’s fervent Catholicism? To what extent were Mary I’s actions driven by her desire to have a child? 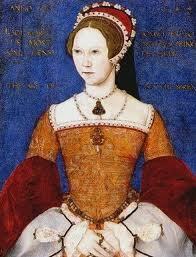 How far was Mary I influenced by her mother Katherine of Aragon? Was Mary I really as ruthless as she is often portrayed? What religious difficulties did Elizabeth I face on her accession and how did she deal with them? 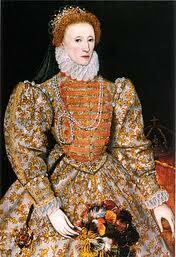 How far did Elizabeth I purposefully cultivate a manly image? Using the films Elizabeth and Elizabeth: the Golden Age how true to the historical record are fictional portrayals of Elizabeth I? How far was Elizabeth responsible for the rise in English naval power? To what extent was Elizabeth’s image of the Virgin Queen and Gloriana a calculated propaganda campaign? How important was the succession in Elizabethan England? How far do you think Elizabeth’s decision not to marry was driven by the fate of her mother and stepmothers? How far do you think Elizabeth was influenced by Katherine Parr? How influential was Elizabeth’s governess, Kat Ashley, on her education and beliefs? How important was the defeat of the Spanish Armada in 1588 in cementing Elizabeth’s positive image? How far was religious controversy responsible for the many rebellions under Tudor monarchs 1485-1603? How important was England in international affairs during the sixteenth century? Religion tended to stem from the monarch, but how far were the people responsible for their religion in the sixteenth century? 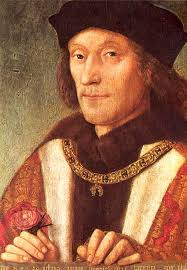 The nobility played a large role in the English court, but why were so many of them indicted on counts of treason 1485-1603? How did women’s fashions develop throughout the sixteenth century? How did everyday life of the poor in sixteenth century England compare to that of the middle classes and of the rich? What did Henry VIII’s children learn from him and apply in their own reigns? How have the Tudors been shown in literature and imagery from the eighteenth and nineteenth centuries? How have modern media representations of the Tudors as a dynasty changed the general perception of them?